We have been providing professional Laptop repairs in Brisbane for the past 16 years. Our experience and fully equipped workshop makes any trouble-shooting cost effective and timely. We know what is worth repairing and what is not, we provide fair and precise advise on when a machine is beyond economical repair or when it is worthwhile fixing. We have an international supply chain that enables us to provide cost effective repairs and can provide parts that are not readily available from Australian suppliers. As more and more Australian companies move to mobile devices they choose to use our services as they know it will be done right and they love the fact that our online booking system provides continuous feedback and tracking on their repair. 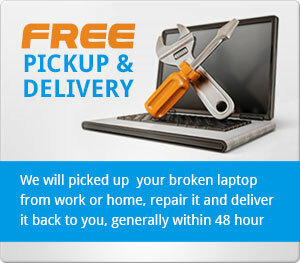 – Proven Laptop Repairs services. – Efficient and Consistent delivery. If you have a “fleet” of laptop and would like a reliable service feel free to contact us on the details below. And of course assist with any software problems, Virus removal, servicing and hard disc drive data recovery etc. To know more about our services, just fill in the form below. © 2011 CityLaptopRepairs.com.au. All rights reserved.